Elegant, graceful and evil to the core, Maleficent, the wicked fairy from the 1959 animated classic Sleeping Beauty, is one of Disney's most enduring villains--and one of it's most original. Is there anything more badass than holding a grudge for 16 years, then morphing into a fire-breathing dragon? Maleficent has remained so popular that 55 years later, she's finally getting her own live-action film. Maleficent will star Angelina Jolie (you may have heard about it) and opens in U.S. theaters on May 30th. 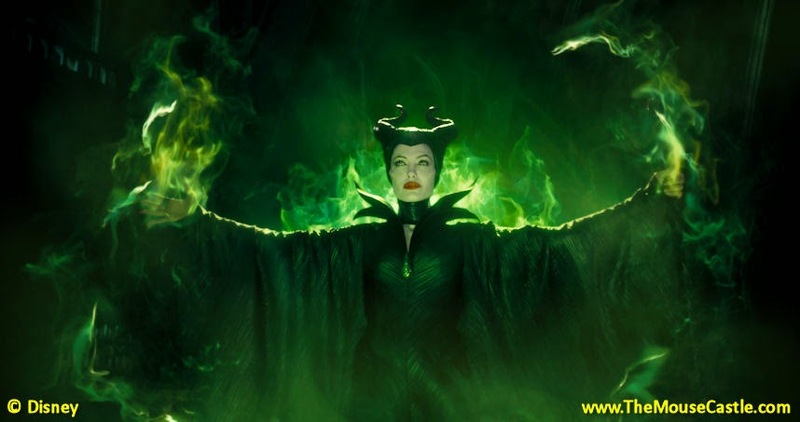 The movie is not just Maleficent's take on the whole Sleeping Beauty saga, but also the back story of how she became the mistress of all that is evil. The film's executive producer Don Hahn is quick to give credit for Maleficent's longevity to Disney Legend Marc Davis, who animated the character. "(Sleeping Beauty) was published in France originally, but there was a lot of oral traditions and there was no Maleficent. That's Marc and the story guys and Walt. And she's become this very popular villain." Don is my guest in The Mouse Castle Lounge today and he talks not only about the character and the film Maleficent, but also about his own amazing career at Disney that's spanned well over 30 years. Don literally started in the basement at the studio, first working underneath the Ink and Paint Department, perusing animation art in the Morgue (which would eventually become the Animation Research Library). He would later assist on such films as Pete's Dragon and The Fox and the Hound before landing his first associate producer gig on Who Framed Roger Rabbit. His breakthrough would come as producer of Beauty and the Beast, the landmark film that in 1992 would become the first animated movie to earn an Oscar nomination for Best Picture. This was the first of a string of producer credits for Don that included exceptional films like The Lion King (1994), The Hunchback of Notre Dame (1996), and The Emperor's New Groove (2000). In 2009, Don would narrate, direct and co-produce Waking Sleeping Beauty, his honest and heartfelt documentary about Disney's second golden age of animation and the many lofty talents and loftier egos that made it happen. Don is one of the giants of Disney animation and it's my pleasure to welcome him to The Mouse Castle Lounge. Enjoy!